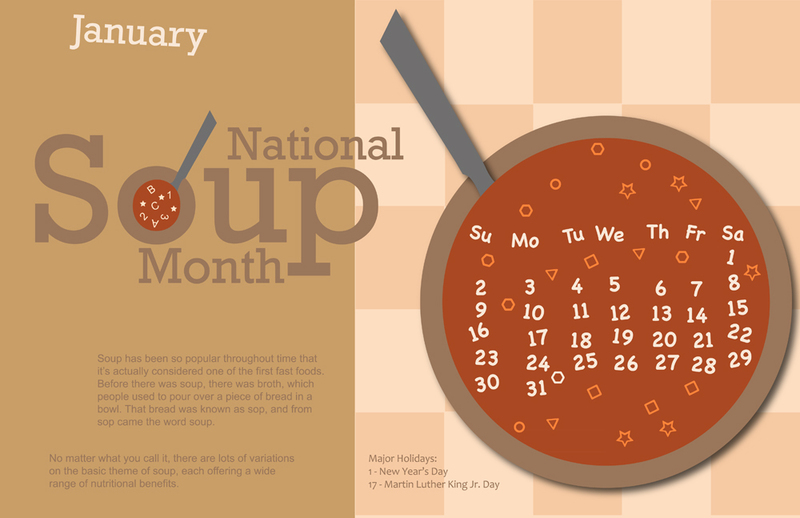 Not only is it the last day of January but today marks the last day of National Soup Month - a fun way to celebrate this beloved and comforting dish. Hopefully you had a chance to try a new recipe or at least enjoy a bowl or two this month. I loved celebrating by teaching a class at the Brooklyn Cookery, holding a Soup Cook-Off and contributing soup recipes to Food 2 and Mom in the City. 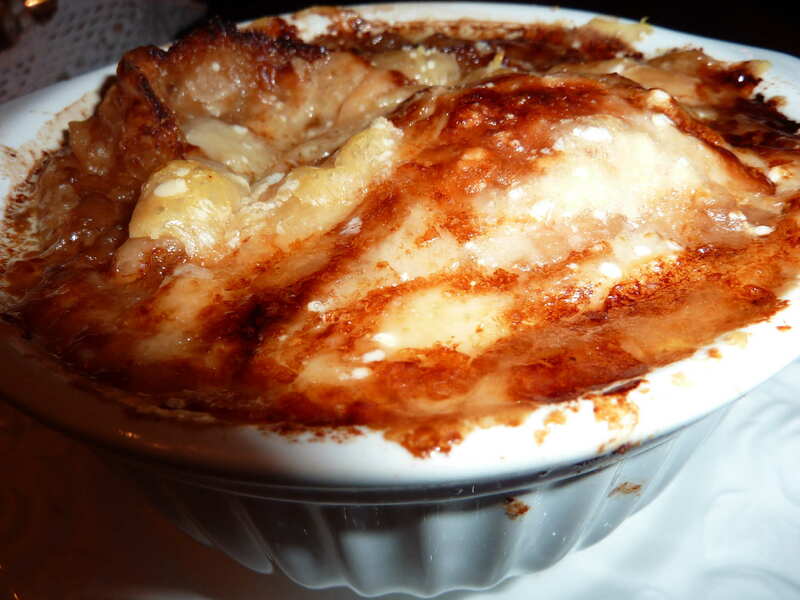 I also enjoyed making the Creamless Asparagus and Leek Soup and Italian Wedding Soup for the first time as well as sharing Deja Vu Cook's top picks for the month. Even though this exciting month has come to an end, you can always find soup recipes on this site and hopefully some of these recipes will inspire you to continue the celebration all year. Texas Penicillin - Soup is said to cure all and heal the soul and Ginnie Bivona, a chef from Texas, also said that about her Texas Penicillin - except for a cure of a broken heart. A variation of chicken noodle soup, this recipe includes a Southwestern twist with chili powder, green onions, corn, red pepper and cilantro. The soup is an also an award-winning recipe and won the Best of Show and First Prize at an Ohio State University Chili Cook-off! Garlicky Tortellini Soup - As a staple in most soups, garlic has a way of making any soup better. This soup, created by Mignardise, uses the delicious flavoring in question, as well as spinach, tomatoes and tortellini - creating a soup simple that also uses ingredients you may have lying around the house. White Lentil Soup with (or without) Spicy Sausage - I'm a big fan of lentil soups, so I was really excited to see this variation on the classic using white lentils ("black lentils with the outer skins split and removed.") Not something you will find in your standard grocery store, Soup Chick says that you can find white lentils in a gourmet or Indian market or if you can't locate them red lentils also work. This interesting recipe also uses Turkish urfa biber pepper, kale, some hickory-smoked barbecue sauce and the option to add turkey sausage. If I could locate white lentils, I know what recipe I am going to try. Pear/Coconut Soup - Another amazing thing about soup is that it is packed with tons nutritional properties to help the digestive system, skin or the lungs and kidneys such as with this light and summery soup. Created by Five Flavors Kitchen, this pear and coconut soup uses simple ingredients such as pears, coconut water, cinnamon, lemons, salt, and honey that is sure to inspire thoughts of chilled and lighter soups for the warmer months ahead. Brazilian Shrimp Soup - Featured on FoodandWine.com, this delicious soup uses coconut milk, tomatoes, shrimp, and rice that the writer says "will keep you coming back for more." With its unique combination of flavors and easy preparation, I think I know what soup I am going to try next week. 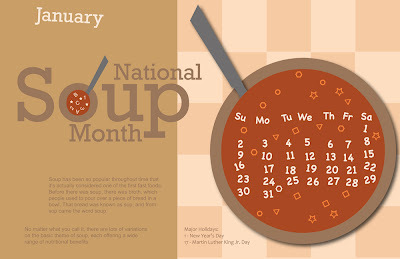 What soups did you try this month? Even the impending snow storm didn't scare off die-hard soup lovers. Of course we had some people cancel but Mark Dingle of Foodie Link and myself were really pleased with the turnout for our first annual Souperbowl at Jimmy's No. 43. Part Cook Off/Fundraiser for the Bowery Soup Kitchen, six participants competed for prizes including a subscription to Edible magazine, Andrea Beaman's new book Health is Wealth, a gift basket and recipes from Brooklyn Bouillon and a gift certificate to Orwasher's Bread. An avid competitor at various food competitions, Lorin won the first prize for her Porcini Mushroom and Barley Soup. She later told us that the soup didn't come out quite like the original recipe, which usually calls for dried porcini mushrooms. 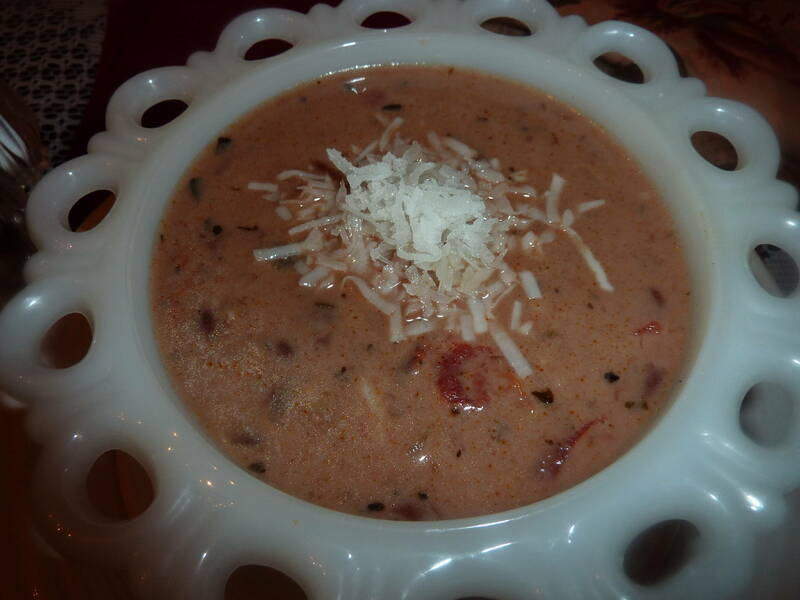 Instead she used a variety of fresh mushrooms and hamburger meat - even though it wasn't what she intended to make the crowd loved this hearty soup and voted unanimously for her creation. Naomi of Cantaloupe Alone won second place for her Black Bean and Kale Soup that were topped with some amazing cornbread croutons. She also had a similar story of how her soup recipe changed (originally intended to more of a chili) - but was still packed with rich flavors from the sriracha, chili powder and the beer. 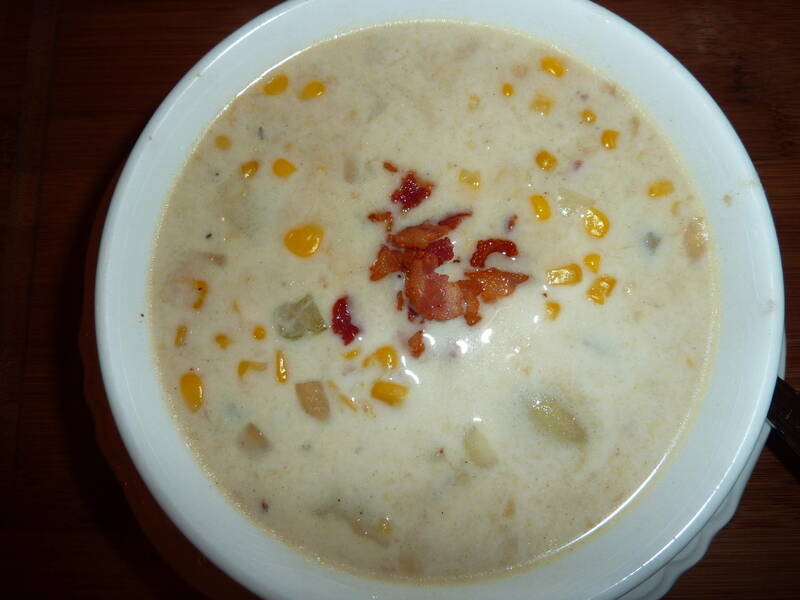 Chris won third place for his Pancetta and Corn Chowder. He talked about how easy this soup was to prepare that was also a "lighter "Italian" twist on a Winter classic soup." An evening of community and delicious food and a running joke about a participant that brought a can of Campbell's chicken noodle soup as their entry made us forget about the impending snow storm. 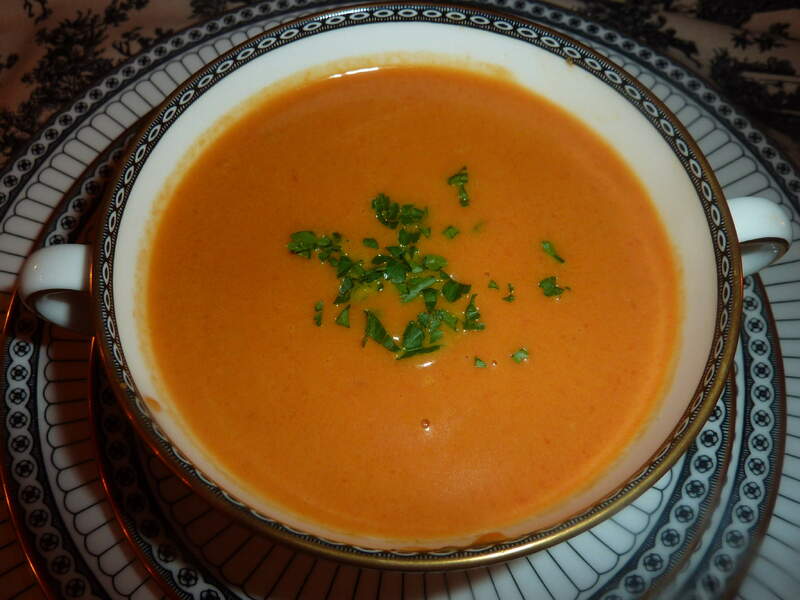 And really, who is afraid of a little snow when you can indulge in an evening of soup! Love this soup for a freezing, snowed in day. It's a hit after the kids make a snow man and the little Popsicles need to be warmed up. Hearty and delicious, it's a real winner. I've made this for dinner parties and impressed even the toughest of critics.....my family! It's not only soup... it's a meal! 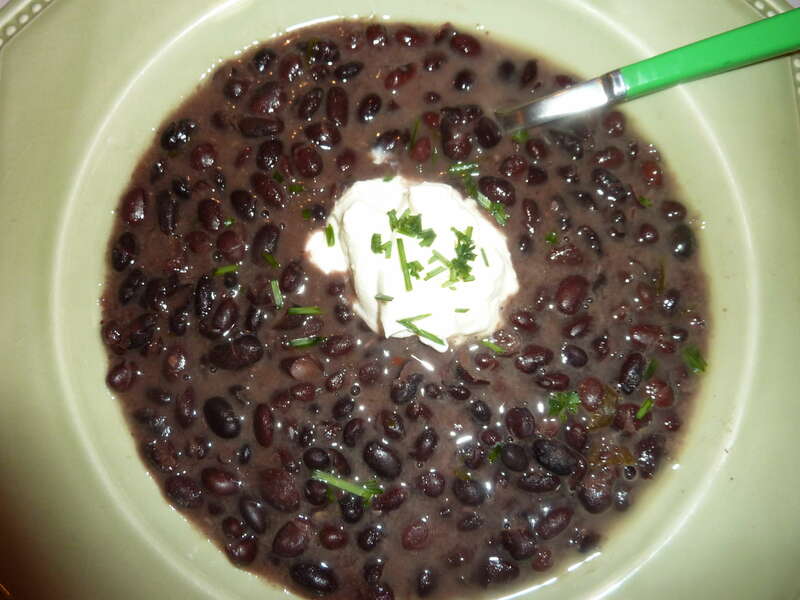 Black beans are a popular favorite in my kitchen. Velvety soft with a deep savory flavor that stands in for meat. Once the beans are ready they are happy on a plate with other foods including eggs, rice, pork or chicken, sweet potatoes, corn bread, kale or chard, and many more mid-autumn and winter favorites. 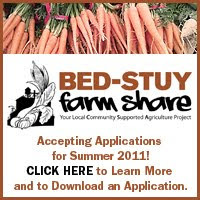 I buy mine from Cayuga Farms, which has a stand at Wednesday's Union Square Farmer's Market. Get them in bulk, make fewer trips, and take benefit of Cayuga's price breaks. Naomi's soup was a hit! Saute the onion in 2 tblsp olive oil until transparent in a large stock pot over medium. Add half of the garlic and half of the tomato. Cook until tomatoes become shaggy and are falling apart. Add the black beans, water, half of the bottle of beer, and 1 tsp chili powder. Cook for 1 1/2 hours until the beans are mostly tender. Add the rest of the garlic, tomatoes, beer, 1 tblsp chili powder, 1/2 cup olive oil, and sriracha. Season with salt and pepper to taste. Cook for another 30-45 minutes until beans are very tender. Add the kale and cook for 3 minutes until kale is just beginning to wilt. Serve! A lighter "Italian" twist on a Winter classic. Combining comfort food with an infusion of smoked flavor, this soup will satisfy a variety of tastes. 1) Place diced Pancetta with extra virgin olive oil in a pan and cook until slightly brown, not over cooked (est 5 – 10 min). 2) When finished, place the Pancetta and pork drippings into a large soup pot add small diced potatoes, small diced yellow onion, minced garlic, thyme, tarragon, cayenne pepper, smoked paprika, salt, pepper, and dill. Sautee for a few minutes over medium heat. 4) Lay sweet corn on a baking sheet, spray with extra vigin olive oil and sprinkle with a touch of sugar. Cook at 450 until slightly browned (cooking time varies 10 -15 min). 6) Add roasted sweet corn and the roux to the soup and continue cooking over medium heat (20 minutes). 7) Garnish with paprika and fresh parsley. We are having yet another soup party in February. Email me at SeriouslySoupy@gmail.com for more details. As I mentioned in the Creamless Leek and Asparagus Soup with Celeriac Root and Kefir post, I recently attended the Cooking Experience, a culinary mash-up where participants learned about various products and brands such as Lifeway, LG, Welch's, SoyJoy, Nature's Path and Miracle Noodle, a all-natural Japanese noodle made from the root of the Konnyaku Imo plant. Since this isn't your typical grain-based pasta, Miracle Noodle contains only water and soluble fiber - making it gluten-free, soy-free and remarkably calorie-free. Not only touted to help with weight loss, Miracle Noodle actually tasted like, well noodles, and after I received a sample I was excited to try this product in a Vietnamese Noodle Soup that I read about on their website. Using everything except the cilantro (didn't have any), this quick soup (miracle noodle only takes about a minute to cook!) had a slight kick from the chili sauce that was also slightly sweet thanks to the ginger and lime. The unique combination of flavors and the hearty noodles also made for a filing soup that you would never realize wasn't the "real" thing. 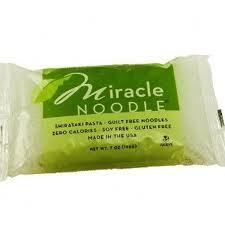 To learn more about Miracle Noodles, please visit: http://www.miraclenoodle.com. 1. In a 3 quart saucepan, bring chicken stock to a boil over medium-high heat. Add garlic, ginger and cardamom and let simmer for 10 minutes. 2. In a colander rinse noodles with warm water for a couple of minutes, pat dry with a small hand towel or paper towel to remove excess water. Divide noodles into two bowls. 4. Pour soup into bowls over the noodles. Divide bean sprouts between 2 soup bowls then top each serving with half the scallions and chili sauce. Garnish bowls with a slice of lime and pieces of cilantro. There is only three days away until the soup cook-off/fundraiser for the Bowery Mission, a non-profit soup kitchen in NYC and FoodieLink, a website that focuses on healthy food, good eating and long-term sustainability. I have teamed up with FoodieLink to sponsor this exciting event and I am pleased to announce that Andrea Beaman, Season One contestant of Top Chef has signed on to judge the 10 finalists and their soups. There will also be prizes for the first, second and third placed soups including a subscription to Edible Manhattan magazines, copies of Beaman's books, stock from Brooklyn Bouillon and a gift certificate from Orwasher’s Bakery - among many other prizes! Entries are currently closed for the contest but for those that attend you can expect to sample of over 10 soups, bread from Orwasher’s Bakery, regional cheeses, and the chance to get to know good foodies including NYC food professionals. The event is held at Jimmy’s No. 43 and tickets for this fundraiser and all-you-can-eat soup party costs $30/per person. To purchase tickets, please visit Event Brite. 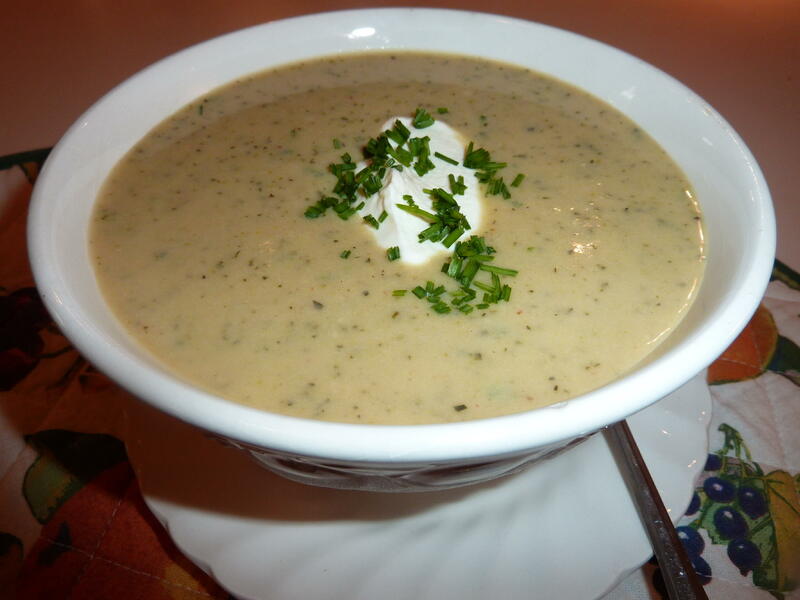 To learn more about this exciting winter soup contest, please visit FoodieLink. I recently had the pleasure to share this garbanzo bean and roasted tomato soup with the readers of Food 2. One of my favorites, hummus soup, was the inspiration for this hearty and delicious winter soup. 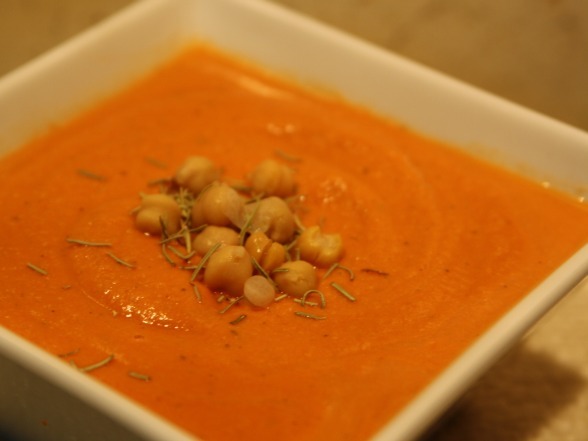 Using roasted tomatoes, fresh herbs (dill, rosemary, basil, cumin and tumeric) as well as tahini, this soup is great with some pita and lemon juice for a healthy mini-meal. 1. Pre-heat oven to 350 degrees. Add the water to a medium-sized soup pot or Dutch oven and bring to a boil. Add onions and half of the garlic to the pot and reduce to a simmer. 2. Place tomatoes on a baking sheet. Drizzle with some olive oil and sprinkle with the remaining garlic. Cover with aluminum foil and cook for 30 minutes. 3. Add garbanzo beans to the soup pot, along with the tahini, bay leaves, rosemary, basil, dill, cumin and turmeric, lemon juice, sea salt and pepper. Cover and let cook for 10-15 minutes. 4. Add the tomatoes to the pot and let simmer for another 20 minutes. 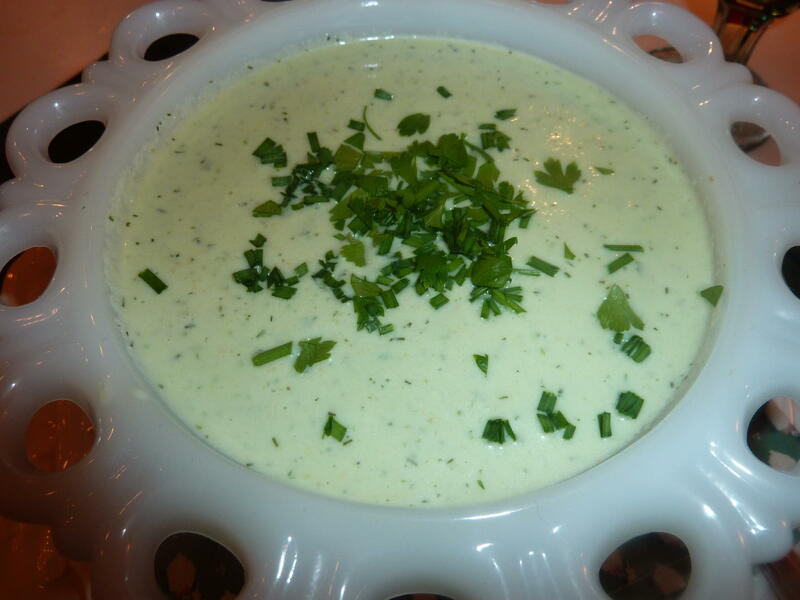 Remove from heat and, using an immersion or standard blender, blend until smooth. Taste, adding more salt and/or pepper if needed, and serve. I recently had the opportunity to learn more cooking at an event called the Cooking Experience, a culinary mash-up where participants learned about various products and brands (Lifeway, LG, Welch's, SoyJoy and Nature's Path, to name a few) as well as and how to prepare recipes in a creative, yet healthy way. Part meet 'n'greet, interactive cooking lesson, and food sampling, the evenings dinner menu was created by Registered Dietitian and Chef Diane Henderiks. Her delicious and mouth-watering dishes focused on nutritionally-rich food and various out-of-the-box flavor combinations that highlighted the various products such as an amazing pecan crusted barramundi that we had for our main course and a velvety leek and asparagus soup with parmesan-panko crips. Instead of using heaving cream, the soup used Lifeway kefir, a probiotic beverage made from fermented milk and kefir cultures that made it rich and velvety without being heavy. I decided to try a variation of this recipe at home that included leeks, asparagus and potatoes and my own additions - celeric root and dill. Try this at home, and trust me you won't miss the cream either. 2. Add the water, celeriac root, potatoes, asparagus, dill and celery salt. Bring to a boil and simmer until the potatoes are tender, 30-40 minutes. 4. Add in Lifeway Kefir, salt and pepper and Enjoy! What other alternatives have used instead of cream? What Ingredients Should You Always Have at Home to Make a Simple Soup? One of the reasons why I love making new soups so much is that soup making is actually pretty easy. Of course there are intricate recipes that use spices that I’ve heard of or require methods of preparation that are new to me, but for the most part, soup making is essentially about interchanging ingredients to create a balance of flavors. This balance can be something that is familiar like with a classic chicken noodle soup or with an international soup where you trying something new. No matter what type of soup you want to create, most likely, you already have some key ingredients right in your home. So, check the list, clear out your cupboard, and get chopping to make your unique homemade soup tonight. 1.Salt and Pepper. Some soups can be bland and lifeless without these every day aromatics. Make sure you always have them stocked up in your cupboard and in particular sea salt and cracked pepper. 2. Fresh or Dried Herbs. There is nothing like fresh herbs to season a soup. You can use a bouillon but I find them too salty and adding herbs like basil, rosemary, mint, thyme, or oregano to your soup will really add a lot of depth and flavor to a seemingly boring soup. Of course, if don’t have a garden or fresh herbs available to you, dried seasonings are a great (and long-lasting) substitute. 3. Onion and Garlic. I can’t say enough about these aromatic ingredients. I use them in almost every soup I make since their powerful flavors works really well to enhance vegetables and make a boring soup something amazing. Since cutting cloves of garlic can be time-consuming, I often buy a big jar of pre-chopped garlic (lasts for months!) and onions by the pound. 4. Form of Protein. Do you have some chicken from last nights dinner or something in the freezer, but don’t know what to make with it? Well, the simplest answer is to give your food new life in a soup. Chop up your chicken, fish or meat add in some water and fresh herbs for a simple and comforting dinner. And protein doesn’t just apply to meat – tofu, beans and some grains like quinoa, barley, and buckwheat are excellent in soup. 5. A Vegetable. Another easy ingredient to have around the house. Try to go fresh, but if not the frozen variety makes it very easy to whip together a soup. I love a simple carrot and pea soup, along with some onions, garlic, salt and pepper and you have a quick and hearty soup. When I started Seriously Soupy in October of 2009, I never (and I mean never!) would have thought that I would love soup making (or soup experimenting as much as a do). I never tout myself as an expert or a chef but just someone who has loved learned about how to cook better as well as how to cook with new ingredients and learn new techniques. Another part of this experience has been the exciting opportunities to attend events, guest blogging, and most recently teaching a class about soup making at Brooklyn Cookery. This monthly home-based cooking school run by Emily and Sweet Joy is a relaxed and educational forum where guest chef's (and the ladies themselves) teach about simple, seasonal, and affordable menus ranging from how to make pasta, tapas, and wine, to an upcoming cocktail class (sorry, that one is sold-out) and a soup and bread-making workshop. Having known about the class for over a month (in the mist of the holiday madness), I knew that I would be making a basic vegetable broth, a ribollita, and a chrizo and kale soup. Since these were all recipes that I have mastered on Soupy, I felt confident that they tasted good but I was very nervous about the actual teaching part - hence why I take the blogging route. Learning about the origins of ribollita helped take some of the mystery out of this Tuscan soup, which I learned was traditionally prepared in three steps or that broccoli and kale are probably not the best ingredients to use when making broth - interesting tidbits that I often overlook as I experiment with recipes. I prepared the vegetable broth ahead of time as well as soaked of the beans overnight (thank you Sweet Joy) for the ribollita. After a brief discussion about vegetable broth, I enlisted Rachael S. Mamane of Brooklyn Bouillon to talk to the class about how to prepare meat and chicken stocks. Her passion for cooking is obvious as she emphasized that beef stock generally take over 12 hours to prepare and that chicken stock (which takes about three hours) and also requires skimming of the impurities. We then talked about ribollta and the class got to work chopping up the vegetables (the only tedious part of making soups). While that was cooking, Jeff, a bread enthusiast, discussed bread making and how it is actually easy to prepare. Demonstrating how to prepare, I was amazed just how simple it was. Since we were making baguettes, a handy Non-Stick Baguette Pan was used - allowing air to circulate during the baking process. The result was a crisp and delicious piece of bread. Jeff also experimented with bread-making and placed some dough topped with fresh rosemary in Sweet Joy's fire - resulting in a delicious homemade flatbread that complimented perfectly with truffle butter, olive oil and herb butter! The chrizo was up next - another simple recipe that essentially involves cooking the potatoes and heating the chrizo and some delicious flavors (hello, red pepper flakes!). The whole experience went by so quick - a whirlwind of learning about bread and frantically flavoring the soup and chopping up vegetables that (I think) was a fun experience for everyone involved. Not only an experience about making and eating soup and bread, Brooklyn Cookery was an open and friendly atmosphere to meet new friends and talk about anything from food to kids to the impending snowstorm. There was wine and cheese and of course bread that we happily devoured and even some dough that we were able to take home to try this bread making experiment for ourselves. A community of learning, food and friends that not only allows students to take home recipes -- but filled our bellies, minds and souls. 8-10 cups of water, approx. Add eight to 10 cups of water to a large pot and let boil. Cut up vegetables of your choice (skins and all), and add them to the boiling water. Consider some fresh herbs and pepper to flavor your stock. Cover the stock and place on a low flame, letting it cook for two to three hours. Check on it periodically to taste and stir. Turn off flame and strain veggies in a soup strainer (veggies can also be used for another soup). Freezer half or use your stock for soup! Enjoy. Soak the white beans for 3-4 hours. When ready to cook, add 2 cups of water to the pot and bring to a slight boil. Cut up the onions, carrots, zucchini and garlic and them to the pot, along with some olive oil. Let cook for 10 minutes. Add the tomatoes, basil, beans, rosemary, thyme and the rest of the water and cover. Let cook for an hour (checking and stirring the soup periodically). After an hour (or so), add the bread crumbs and kale and let cook for another 5 minutes. Cut up the bread into small squares and add them to the soup. Serve and top with parmesan cheese (optional). In a large pot (6 to 8 quarts), heat oil over medium. Add onion and cook until soft, stirring, 2 to 3 minutes. Add garlic and red-pepper flakes; cook until fragrant, 1 minute. Add potatoes and broth; bring to a boil. Reduce heat; simmer until potatoes are tender, 10 to 15 minutes. Add kale and sausage. Simmer until kale is wilted, 10 to 15 minutes. I recently saw this Italian Wedding Soup recipe on The Kitchn and instantly knew this was my next Soupy experiment. Since I never tried or prepared this soup, I was excited to test out what was described as being "simple to prepare, but has enough flourishes." I also learned that a variation of this Italian-American soup was also wildly prepared in Spain with a variety of meats that are boiled and shredded. I used the recipe as a base - especially as I attempted a new technique (cooking an egg into the soup) and a fun way to prepare meatballs (adding cheese to the meat then cooking it). This really enhanced the flavors of the stock and of course the meat itself. The recipe also used hearty kale (can also use with spinach, endive, escarole, etc) and the delicious flavorings of oregano, basil and thyme - that made for the perfect winter soup. In a 4 to 6 quart soup pot, heat the remaining 1 tablespoon oil over medium high heat. Add the onion and garlic and sauté until onions are tender and garlic is soft, but not browned, about 5 minutes. Add the stock and bring to a boil. Add the greens, reduce the heat to low, cover, and simmer for 10 minutes. Add the meatballs and cook another 5 minutes. Meanwhile, combine remaining 2 eggs and remaining cheeses in small bowl and stir with a fork to blend. Slow pour the egg mixture into hot soup, stirring constantly. Cover and simmer just until egg bits are set, about 1 minute. Season to taste with salt and black pepper, maybe even a squirt of lemon juice, and serve immediately in a low bowl if possible so the meatballs are visible. I was making a list of the top ten favorite recipes from the readers on my website and at the same time I saw that it was National Soup Month (January). During the first year of trying to document family, friends and my recipes I was fortunate to meet @SeriouslySoupy (Twitter). She has wonderful ideas, recipes, classes and events in New York all about soup. She invited me to guest post on her site Seriously Soupy a few times and we share recipes. This list was great for me to review of my own soups that I make and people would like. The biggest surprise was the interest in chilled soups. Living in Florida it is normal for chilled soups, but three out of ten was not only great but an inspiration to create more chilled soups for 2011. Enjoy! Brussels sprouts are a hit or miss food - as mentioned when I made the soup - Mushroom Barley with Roasted Brussels Sprouts. The beauty of soups is that they can enhance and give 'boring' foods a new life with the addition of spices and the pairing of other vegetables. I recently made a bowl of roasted brussel sprout and sweet potato soup and instantly loved the earthy/sweet taste of this quick and healthy soup. Using homemade vegetable stock, rosemary, thyme, curry and an onion, this soup made it very easy to eat my brussels sprouts. Pre-heat oven to 400 degrees. Cut up the brussels sprouts and place them on a baking pan or a sheet of aluminum foil. Drizzle with olive oil, salt and pepper and let cook for 40 minutes. Chop up the onions, garlic and ginger and place them in a pot, along with the vegetable stock. Bring to a slight boil and add the sweet potatoes, rosemary, bay leaves, thyme, cinnamon, curry, salt and pepper. Check on the brussels sprouts and add them to the pot (when soft). Cover and let cook for another 30-40 minutes. Taste and add salt or pepper (if needed). 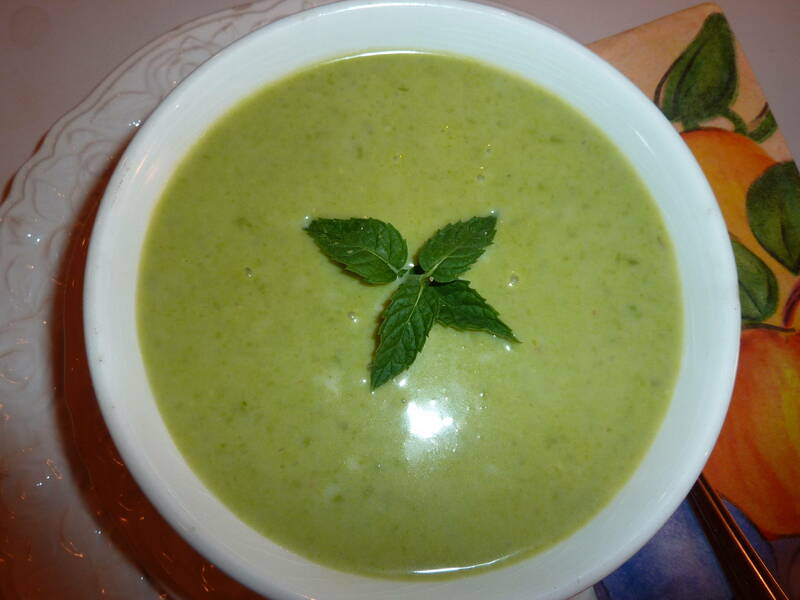 Blend the soup together in a blender or with a immersion blender. Enjoy! Worst Cooks in America's "Farmageddon"
2010: The Soups That Were and More to Come!